The artifact called a silhouette is named after Etienne de Silhouette, a penny-pinching minister of finances under Louis XV, whose tenure was brief because parsimony rarely has a big following, especially among the wealthy. The phrase à la Silhouette came to mean doing things on the cheap. At the same time, in the second half of the eighteenth century, an old but until then little-practiced form of portraiture was burgeoning in popularity. An artist with scissors and maybe a knife could cut a pleasing and remarkably expressive outline of the shadow of a face for a quick likeness. No oil paint or years in the Academy required. Popularizers of the technique claimed that amateurs could make portraits of loved ones as well as artists could. Cheap to make, they were dubbed silhouettes, and the name stuck. 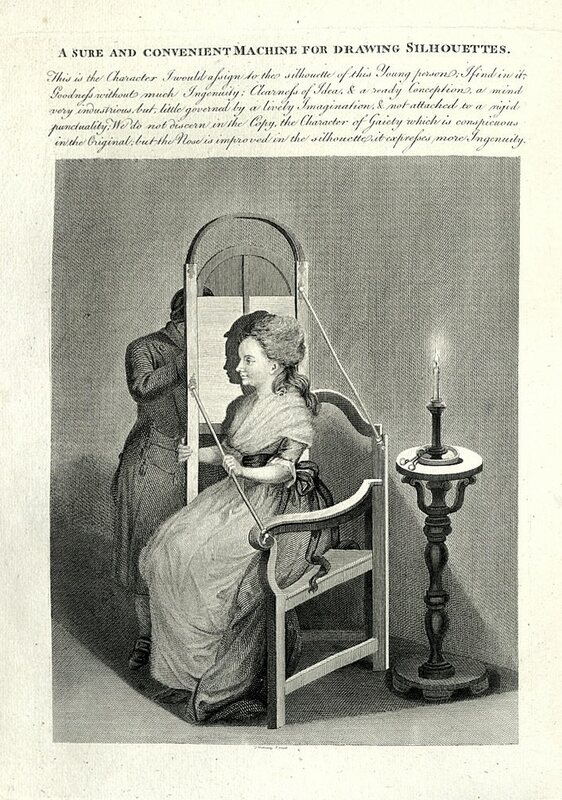 Various devices appeared meant to facilitate the cutting of accurate silhouettes, including the one shown in the 1792 engraving at top by Thomas Holloway titled “A sure and convenient Machine for drawing Silhouettes.” Because of the difficulty of working by the light of a flickering candle, and the fidgeting of one’s subject, artists may have found they could do better work freehand. The portrait of scholar J. 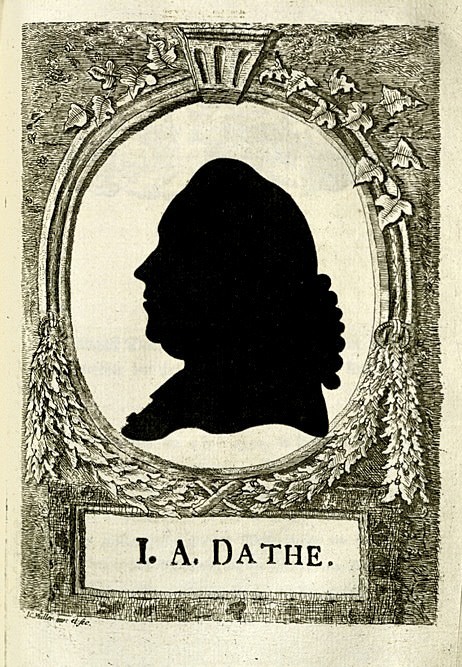 A. Dathe is from a collection published in 1779 by print dealer Johann Carl Müller. The silhouettes were printed separately from their etched ornamental frames. 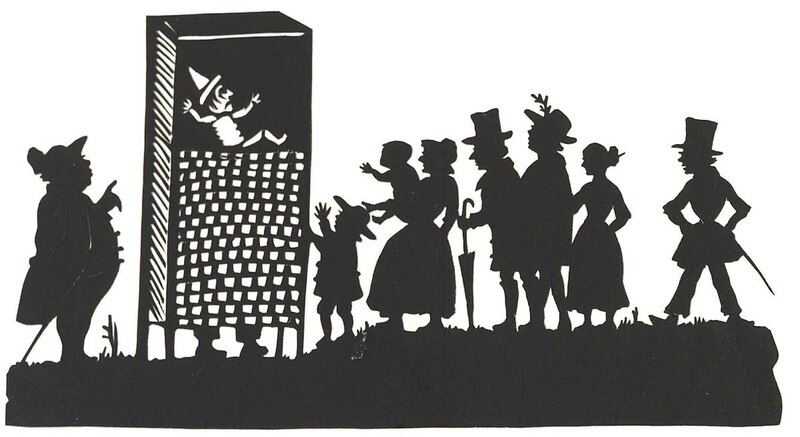 The villagers at bottom are from an album presented as a Christmas gift in 1858 that also includes hunting and nature scenes, many inspired by the silhouettes of the German children’s-book illustrator Karl Frölich.